Houghton Mifflin Harcourt, 9780471428077, 512pp. Deep, dark, and fudgy. Moist and luxurious. Seductively rich. 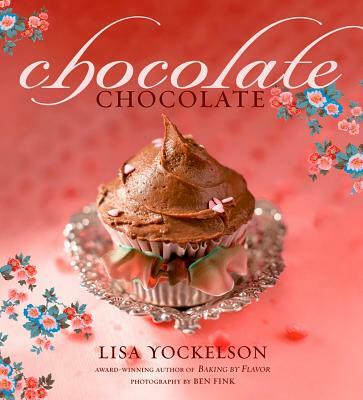 For award-winning author Lisa Yockelson, chocolate has long been an obsession, a craving, a calling. Now she fulfills the calling in ChocolateChocolate, a dream cookbook that blends how-to information and more than 200 sublime recipes with a delicious collection of chocolate essays and reminiscences. ChocolateChocolate reveals baking with chocolate as a sweet and simple art, one that is both rewarding and accessible. The book's unique "baking diary" format arranges chapters by theme, reflecting Yockelson's fresh and personal approach to baking. From comforting Brownie Style favorites to dashing Double Chocolate and Mudslide confections, temptation beckons from every page. The book can be used in several ways - to find a recipe for a sweet that's just packed with chocolate, to learn how chocolate behaves in the baking process, to gather information on the various types and uses of chocolate, and, of course, to simply rejoice in what surely must be the most luxurious of all flavors. Complemented by 155 stunning color photographs that artfully express her specialties in all their chocolate glory, here is a timeless reference all home bakers will return to again and again as a source of instruction, inspiration...and sheer indulgence.